When the sun goes down in Las Vegas, the nightlife scene heats up! 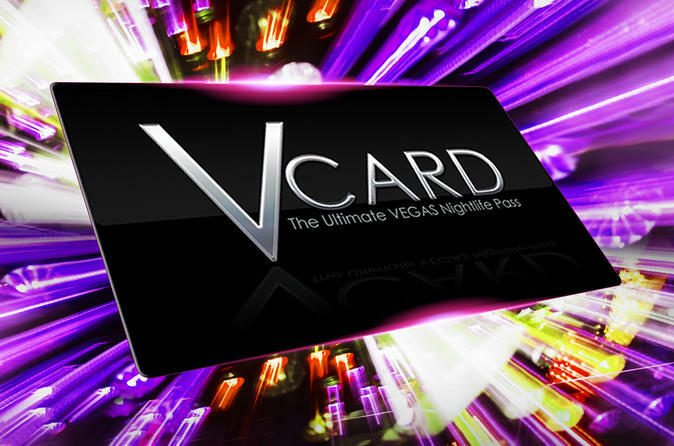 V Card gives you VIP access to the most exclusive nightclubs, ultra-lounges, pool parties and gentlemen's clubs in the city. It's full of great offers too for drink specials and shows! This is the ultimate Las Vegas party pass, providing you with access to the hottest nightlife venues and pool parties on and off the Strip. Party in the sunshine during the day at pool clubs (seasonal) like Tao Beach at the Venetian. Then, put on your dancing shoes and head out to Vegas’ best nightclubs, where you have access to the VIP lines and free entry. Available clubs include Marquee at the Cosmopolitan, Hyde at Bellagio and Chateau at the Paris Hotel & Casino. How does it work? Pick up your pass at the V Theater or Saxe Theater box office, make your plan, and hit the town! Just show your pass for instant access at the VIP line of the clubs and let the fun begin! Your passes never expire, so any extra passes can be used during future trips to Sin City! Special Offer - Book and save 72% compared to the local supplier's price! - Book Now!